The 4th of July just so happens to be one of my favorite holidays …. and not because it’s my birthday (it’s true, it really is my birthday!) …. I just love the patriotism and seeing all of the red, white and blue …I love the BBQ’s, the parades and the fireworks. I just love all of it! Growing up with a birthday on the 4th of July, I believed that all of that fun stuff was just for me ….. and who am I kidding? I still sorta believe it! 😉 I believe it is the coolest birthday to have and I’m glad that the the whole country celebrates with me … well, sort of celebrates with me! I’m sure y’all aren’t thinking about Jamie over at Love Bakes Good Cakes while your getting your grub on or while you’re admiring the night sky filled with those fantastic fireworks displays! And that’s ok …. I’m not even mad about it – as long as you’re having fun and enjoying the freedom that so many men and women fought so hard for us to have! I really believe we live in the best country on earth and I’m glad we have a day, that as a nation, we celebrate our independence! I found this recipe for Apple Spice Cake with Caramel Glaze probably close to 15 or 20 years ago?! It’s been so long, I can’t even remember! I don’t remember the original source, but what I do know is that it reminds me of a very old-fashioned cake …. maybe something similar to what our great great gramma’s may have made?! It’s full of fruit and nuts with a chocolate-spice tone that’s not overly sweet. The Caramel Glaze pairs well with the cake, giving it just a little bit of sweetness. 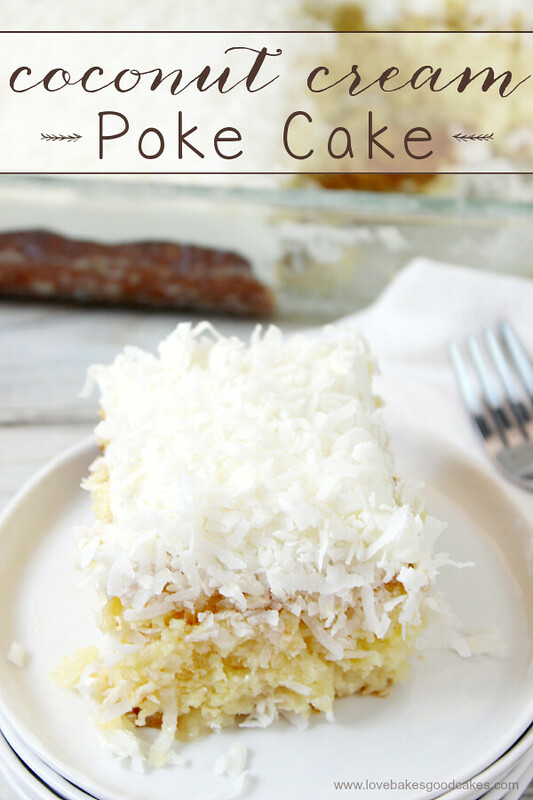 It’s such a great cake and I hope you’ll give it a try! Preheat the oven to 325°F. Grease and flour a 10-cup Bundt pan and set aside. In a large bowl, cream together the butter and sugar until smooth. Add the eggs, one at a time, mixing well after each addition. Add the applesauce and combine. On a large piece of waxed paper or in a medium-sized bowl, sift together the flour, baking powder, baking soda, salt, spices and cocoa. Using a rubber spatula, alternately fold half of the dry ingredients, all of the buttermilk and then the remaining flour mixture into the applesauce mixture. Stir in the raisins and pecans. Pour the batter into the prepared pan and level with the spatula. Bake on the center oven rack for 50-60 minutes or until a skewer inserted near the center of the cake tests clean. Cool on a rack for about 10 minutes – then remove from the pan and allow to cool completely on the rack. Top with Caramel Glaze (recipe below). In a heavy-bottomed saucepan, bring the brown sugar and butter to a boil over medium-high heat. Remove from the heat and add the milk (be careful, it may splatter!) Return the pan to the heat and bring it back to a boil. Add the powdered sugar and stir constantly until it is fully incorporated. Remove from the heat and stir in the vanilla. Drizzle the sauce over the cooled cake. **NOTE** To toast pecans: Bake in a 300°F oven for about 15 minutes. I hope you enjoy! Shared at these fun parties! Pinned! 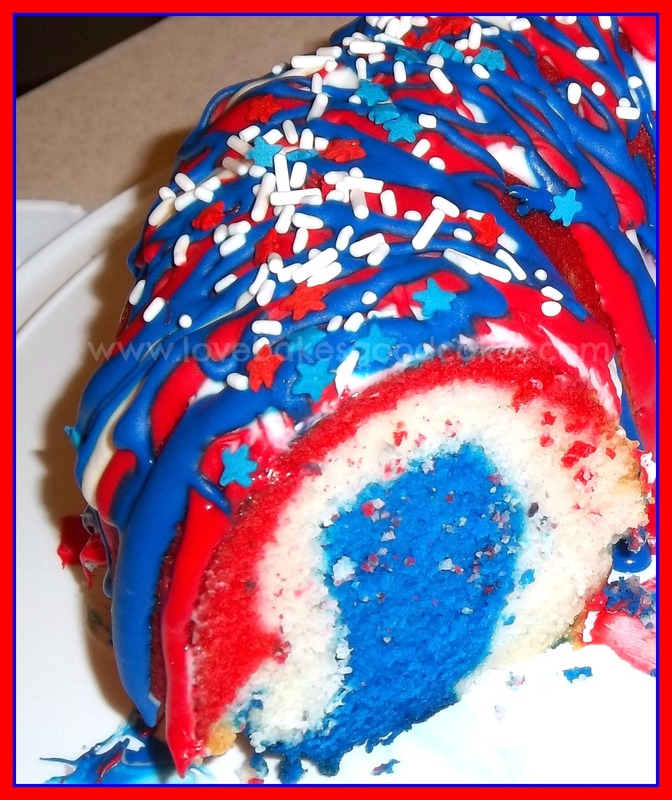 Would love to try the glaze especially 🙂 Born on the 4th of July… mm, explains a lot ! I love an old-fashioned cake, it reminds me of my grandparents and how all those old recipes need to be preserved or we'll lose them. Can't wait to try this one. Holy cow that sounds incredible! Great job as usual Jamie. Make sure you stop by my first ever link party and share some of your fantastic recipes! That would be an awesome birthday to have. I'm jealous, you get to have fireworks for your party every year 🙂 The cake looks delicious. I love old recipes, they are always so good! Jamie, how awesome that your birthday is on July 4th!! I am a huge fan of old recipes too, just like Lisa, and this sounds WOW! And the glaze? A must try! Thanks for sharing and pinning! G'day! Happy pre birthday, TRUE! Your cake looks delish! I want a piece now! Thank you! Foodie Friday Friends Party too! Your cake looks so delicious. I love anything spices and with apples in. I found your blog entry on Tidy Mom, I've lovin It. PLEASE give me a slice of this fabulous cake, it looks delicious! Hope you have a wonderful week end and thank you so much for sharing with Full Plate Thursday. Just for you, I think I'll make this for our 4th of July celebration 🙂 That is a pretty cool birthday to have. Mine is June 4th, and once upon a time I got it confused with the 4th of July. I was pretty disappointed when I realized my mistake. Very cool birthday indeed. Happy early birthday and I lo-ove apple spice cake. Thanks for sharing at Inspire Us Thursday at Organized 31. Actually, on July 4th I will be thinking about Jamie at Love Bakes Good Cakes. I like it when someone's birthday falls on a holiday. Makes it easier to remember. Ha! This cake is packed full of spices! Thank you for sharing this week. 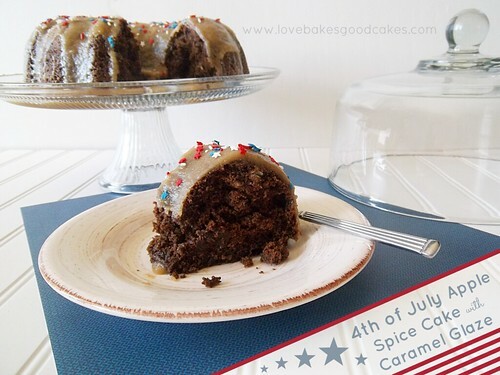 Awesome Jamie, I love spice cake hope you can join us for this week's FFF Fresh Fruit Party! I saw this on a 4th of July roundup and just had to pin it. I hope you’ll share your best post of the week on my Friday Flash Blog Linky Party going on ALL weekend at The Jenny Evolution.